HP No. 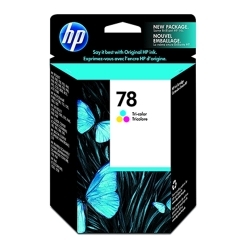 78 Tri-Color Ink Cartridge 450 Yield( C6578DN) : Disk-O-Tape, Inc.
Get precise everyday printing with our 78 Tri-color Inkjet Print Cartridge, which guarantees impressive, photo-quality color and exceptional reliability. It also includes a new print head to automatically "tune up" the print quality with every cartridge replacement. Get photo-quality color and impressive graphics. Automatically "tune up" the print quality with every cartridge replacement. 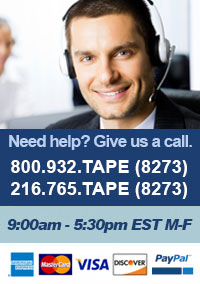 Maximize your efficiency with superior, reliable results.